The Om Space is in central Colombo, Sri Lanka. Address: 185/9 Havelock Rd, Colombo 5. A baking sheet, lightly greased. Begin by first beating the butter with a wooden spoon to a soft consistency, (or you can use an electric whisk), then beat in the sugar followed by the sifted flour. Still using the wooden spoon, start to bring the mixture together, then finish off with your hands to form a paste. Now tranfer this to a board lightly dusted with castor sugar, then quickly and lightly roll it out to about 1/8 inch (3mm) thick (dusting the rolling pin with sugar if neccessary). Use a 3 inch (7.5cm) fluted cutter to cut the biscuits out, then arrange them on the baking sheet and bake on a highish shelf in the oven for 30 minutes. Cool the biscuits on a wire rack, dust them with some caster sugar, and store in an airtight tin to keep them crisp. 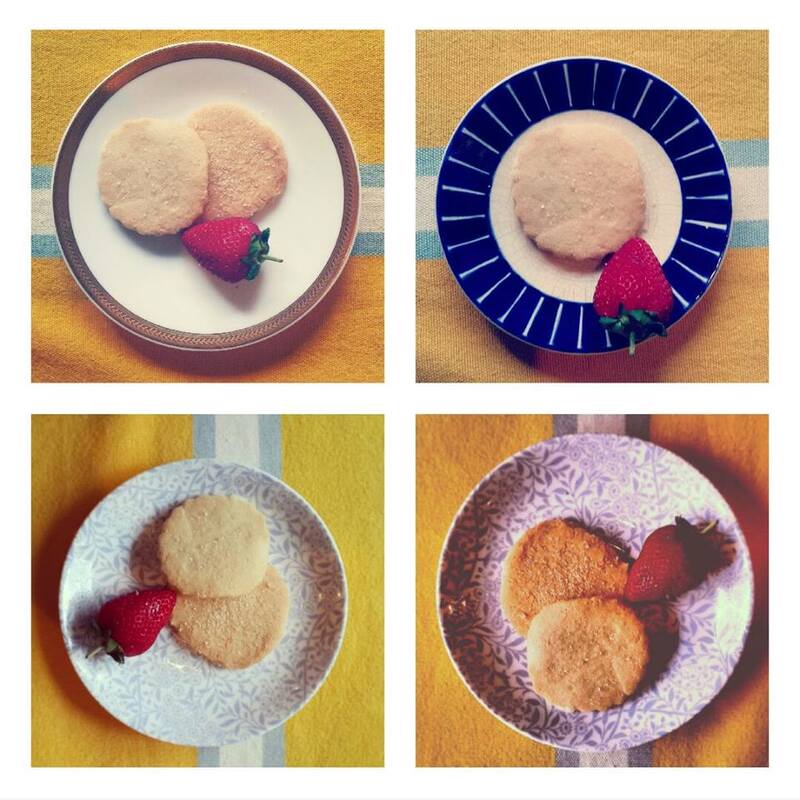 We serve these biscuits often at our Sanasuma retreats at teatime and they are a firm favourite. Guava House is one of the most beautifully designed houses in Sri Lanka. 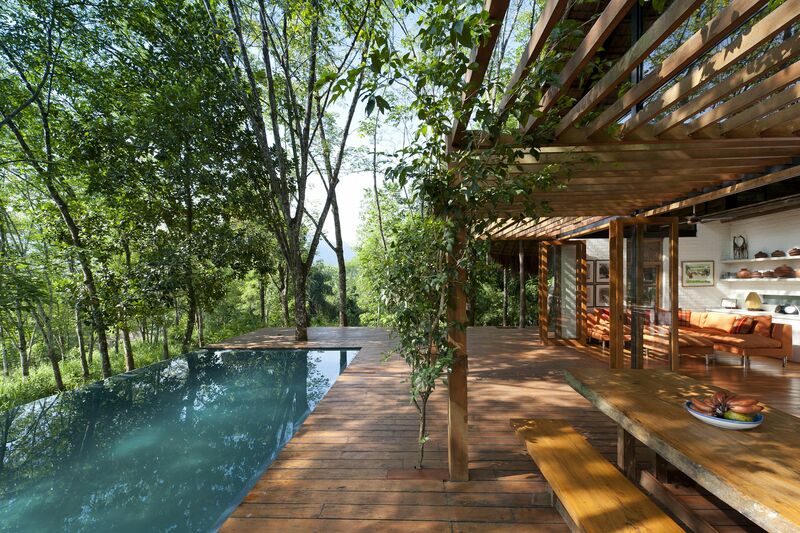 Lovingly created by its Architect owner, it blends into the rubber trees and mountains of Mawanella. It is created from glass, wood on a steel frame and iluk roof, which is much like English thatch. We enjoyed the scenery of Bible Rock and Narangala from the yoga loft with its 180 degree view at tree level of the natural surrounding. 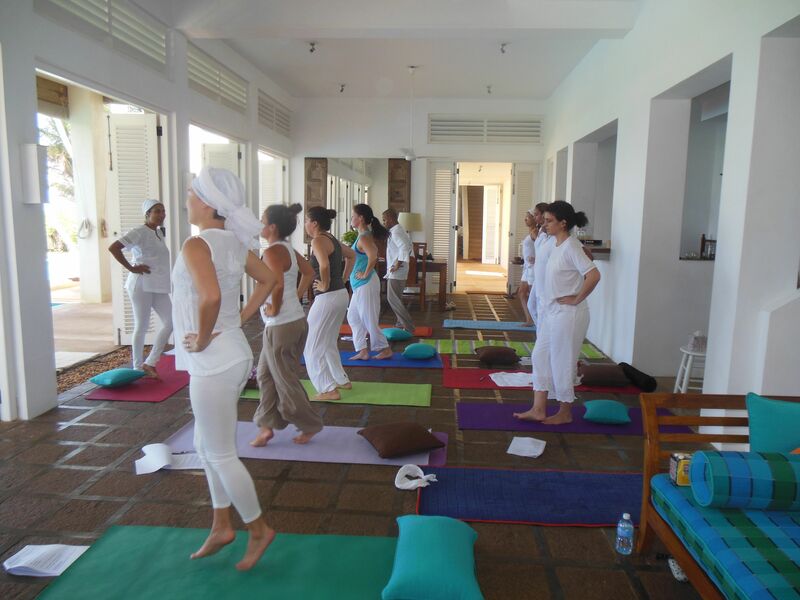 This was Week 2 of the intensive Kundalini Yoga Aquarian Teacher Training program. 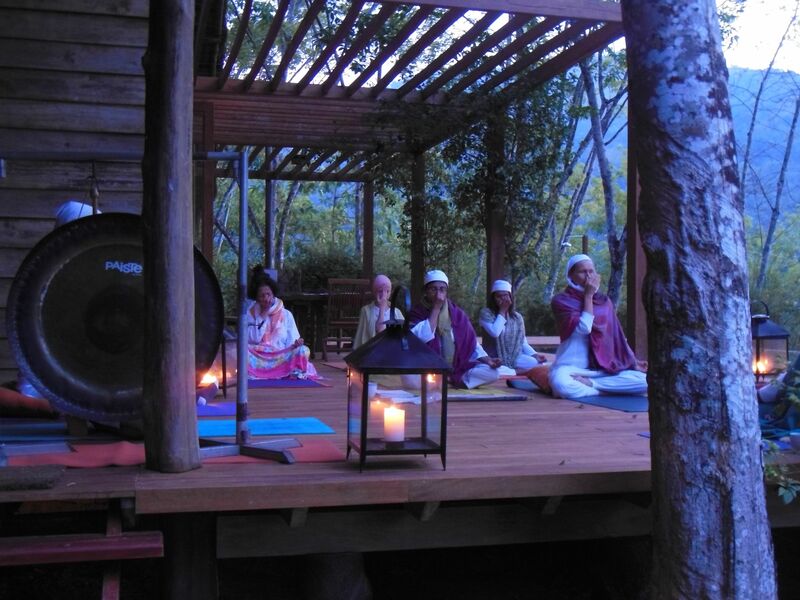 We started on a full moon and did 2 beautiful full moon meditations one which was for healing and the other to clear karma patterns. We woke every morning for 5 days to do a sunrise practice on the pool deck to the sound of bird song. 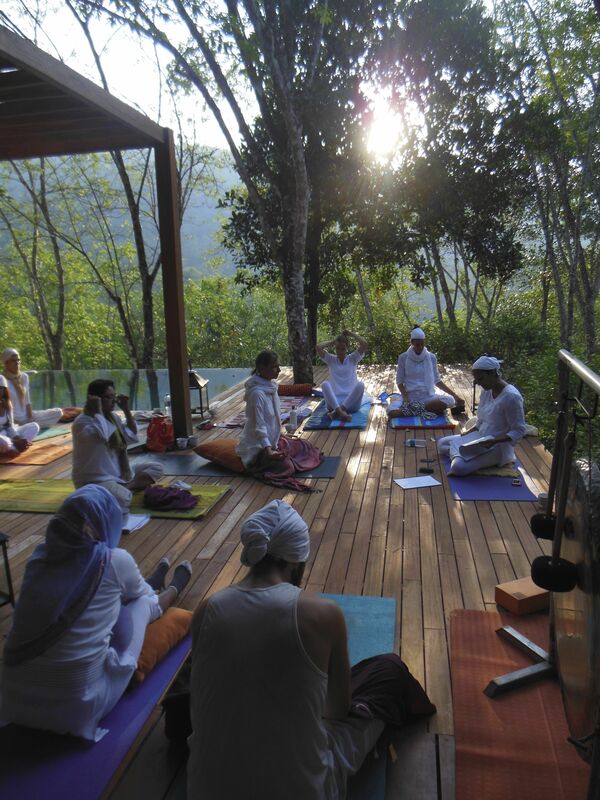 On one morning the birds literally joined in as we closed with Guru Ram Das meditation. 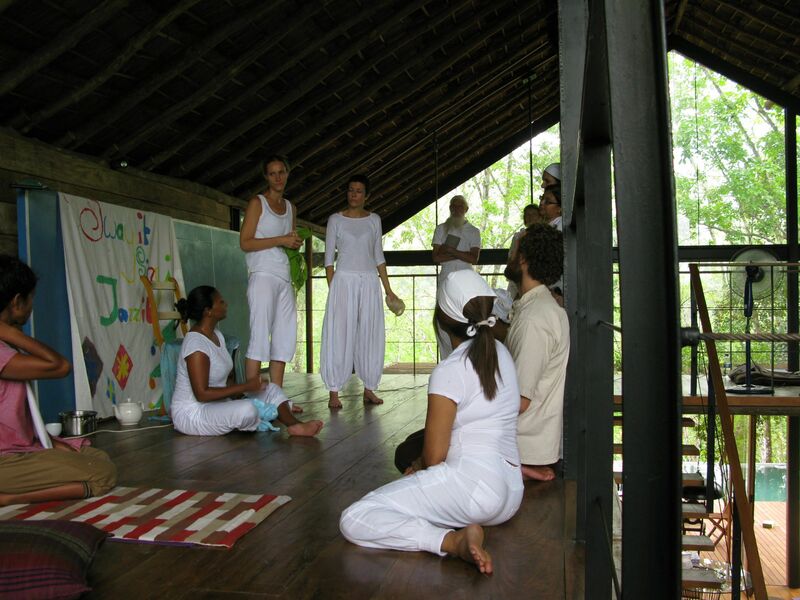 We then went on to light hearted workshops on life styles and the history of yoga. 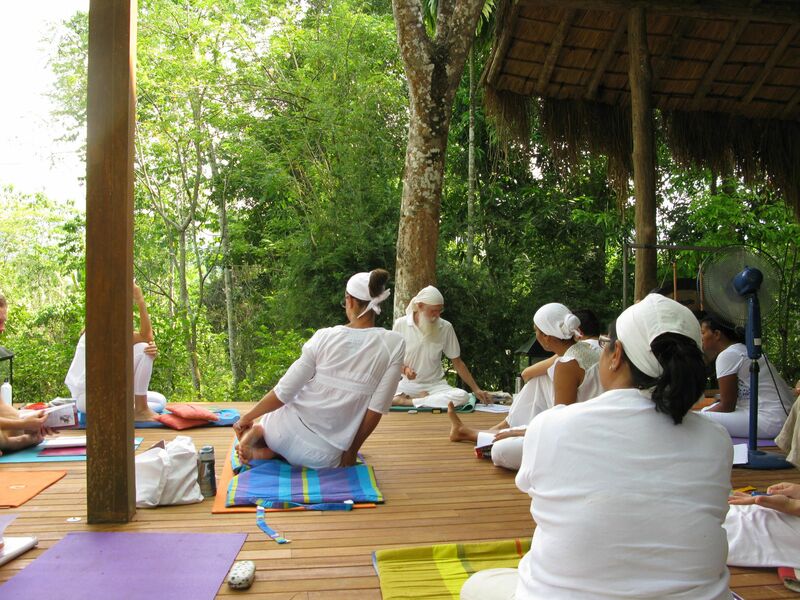 We practiced deep meditative experiences, included several to clear the karma and mind patterns etched into our archline. We studied the science of Naad and discovered that by repetitively chanting Bij or seed mantras we could hit our repetitive thought patterns to neutralise them, leaving us feeling clear headed and lighter. 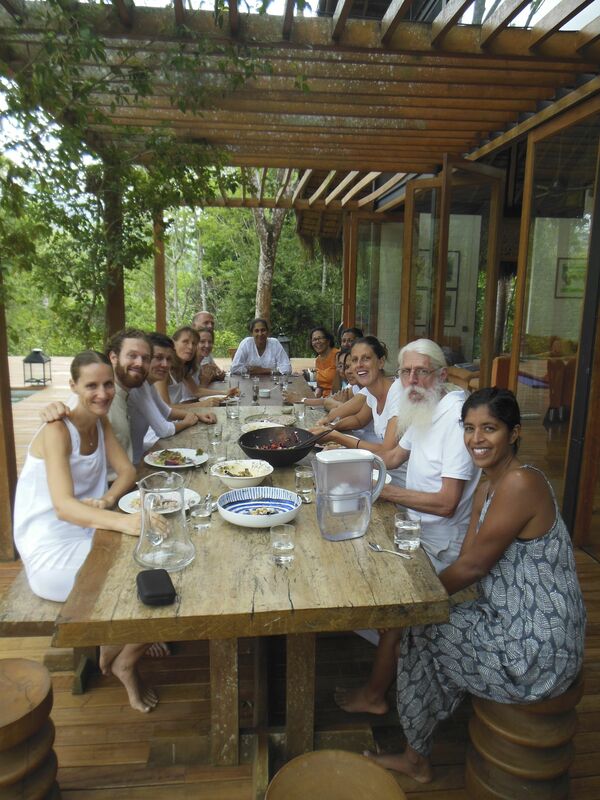 We concluded by doing a deep practice to consolidate this weeks practice, which left us feeing, completely connected and joyful. 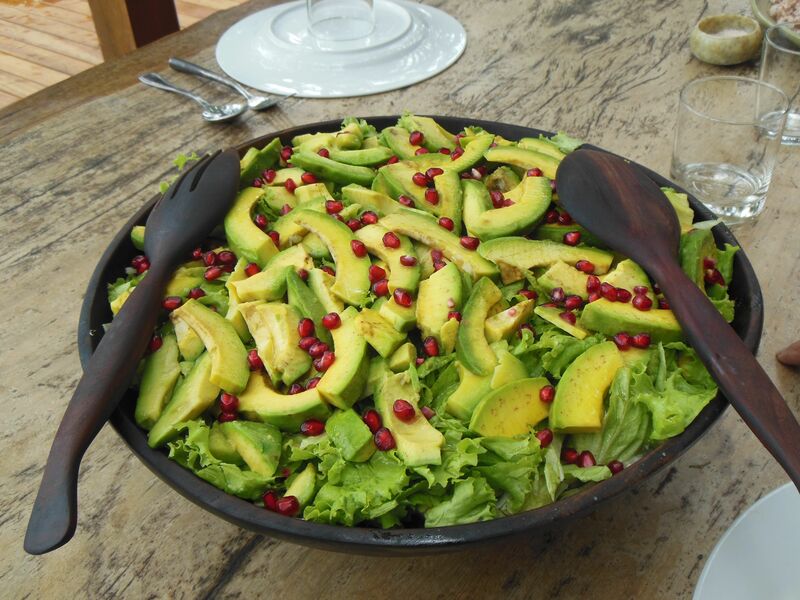 The food was a highlight, with fresh fruit salads and home made museli for breakfast, cool avocado, pomegranate salads and baked veggies for lunch. Delicious hoppers for dinner. 50g kittual juggary melted with 4 tablespoons of water. Cream the butter and grated juggary together until very soft. Sieve the baking powder and flour together. Now add the eggs one at a time adding 1 tablespoon of flour to prevent the mixture curdling. Now fold in the flour and vanilla essence. Sprinkle the almond flakes on top. 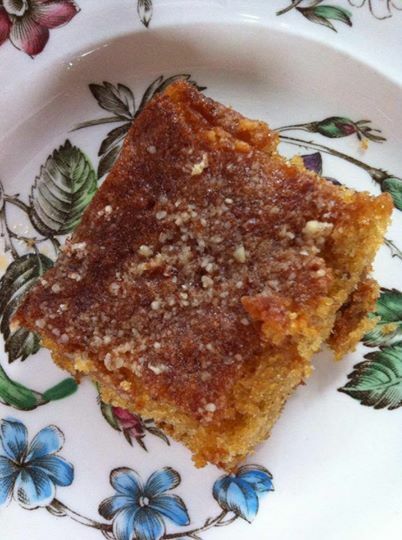 Turn the mixture into a square baking tray and put into a pre heated fan assisted oven set to 175 degrees and bake for 20 mins or until it is firm to touch and golden. Whilst the cake is still warm, prick holes in all areas of the cake and now sprinkle the warm juggary syrup onto the cake. Next Day Drain peas, rinse, place in a pan, cover with water, cover with a lid, bring to boil, reduce the heat, simmer for about one hour or until just tender. Drain, rinse under cold water, drain well, cool to room temperature. 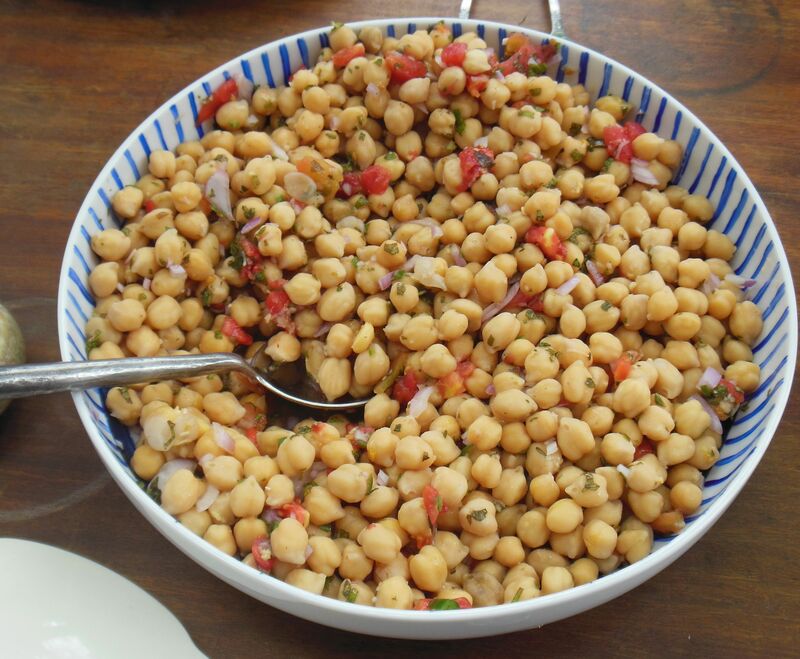 Combine chick peas, tomatoes, onion and the dressing. In my class students practice gentle exercises to help in pregnancy, like lifting the breastbone to make more room for your baby, opening and stretching the pelvic muscles ready for the birth. 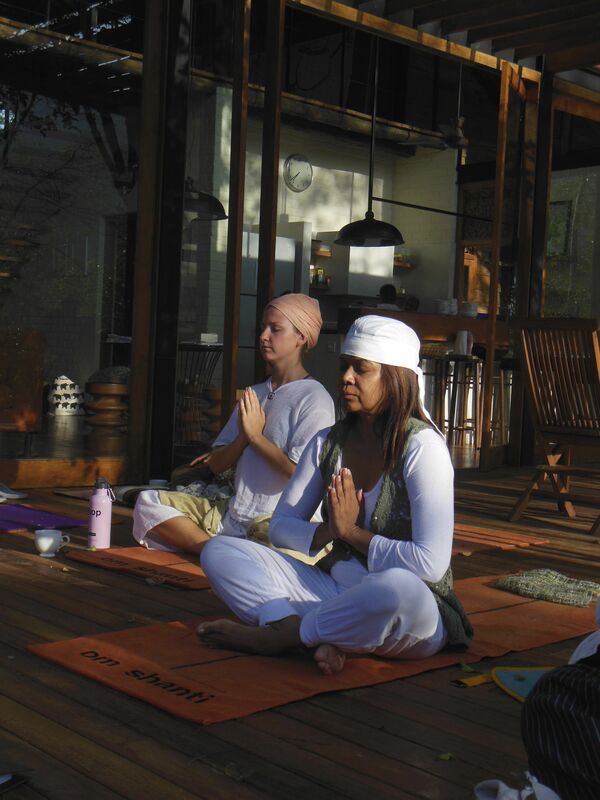 Practice yogic breathing, repeat mantras, and meditate. The combination of these exercises will be highly beneficial for both you and your baby. Meet other expecting Mums and share your experiences.